Sailors are much more social than their powerboating counterparts. That’s the word from Sally Helme, publisher of Cruising World and Sailing World magazines, who quoted from the Mendelsohn Affluent Survey as she addressed the state of the sailboat industry during the Miami International Boat Show and Strictly Sail Feb. 15. They also are big tweeters and texters, compared with powerboaters, Helme said. “Powerboaters had no desire to have anything to do with that little bird,” she said, showing a slide of a healthy Twitter bird under a “sail” tag next to a dead Twitter bird under a “power” heading, eliciting laughter from the crowd. They also tend to be politically liberal, compared with powerboaters, are more likely to have conservative leanings. Sailing was also the only affluent recreation choice to grow participation in 2012, Helme said, up 15 percent. The survey listed golfers first, with 12.1 million affluent adults opting for that recreation. Affluent adults chose powerboating next, which tied with tennis with 6.3 million participating in each. Sailing lagged behind with 1.9 million participants. However, Helme stressed that none of the other recreations, from powerboating to tennis to skiing, increased participation last year. Also mirroring powerboating is the fact that not every size category is experiencing growth, Helme said. Shipments of sailboats 11 feet and under grew the most, 21 percent, from 1,377 in 2011 to 1,661 in 2012, she said. The largest chunk of the market, 12- to 19-foot boats, saw an 8 percent increase, from 3,901 to 4,216 from 2011 to 2012. North American market between September 2011 and August 2012. The winter season was up 13 percent with a 500-week gain. However, North American destinations lost market share in 2012 as consumers ventured farther afield to new and more “exotic” destinations, Helme said. The Virgin Islands and Puerto Rico, on the other hand, hit a record high in market share with 65 percent, representing 9,270 weeks. Estimated base bareboat fees in 2012 were $65 million dollars, compared to $62 million in 2011. The recession has taken its toll on domestic builders, Helme said. 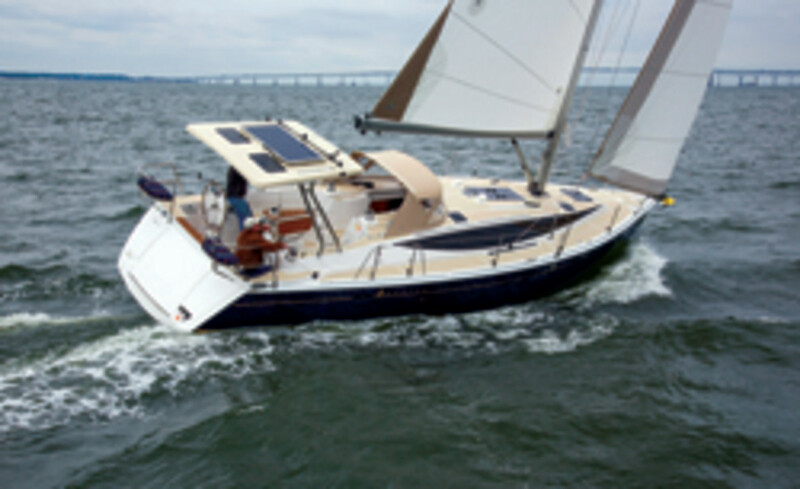 “The recession’s impact on the number of North American sailboat builders has been painful,” she said, adding that between 2004 and 2012, the number dropped from 146 to 104. The number of full-time workers in the industry was down from 3,100 to 1,531 in that time frame, Helme said.